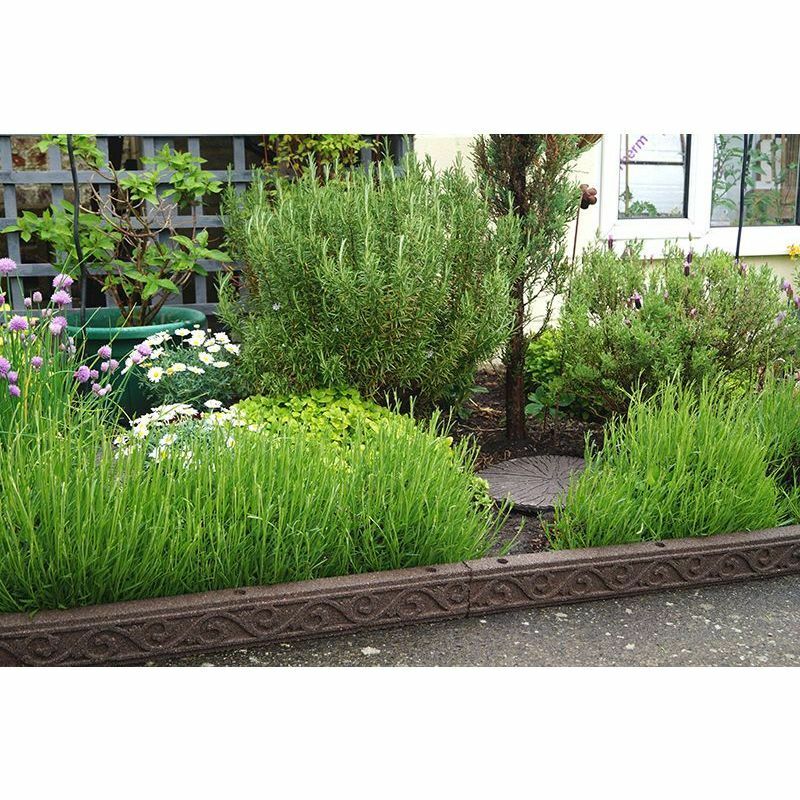  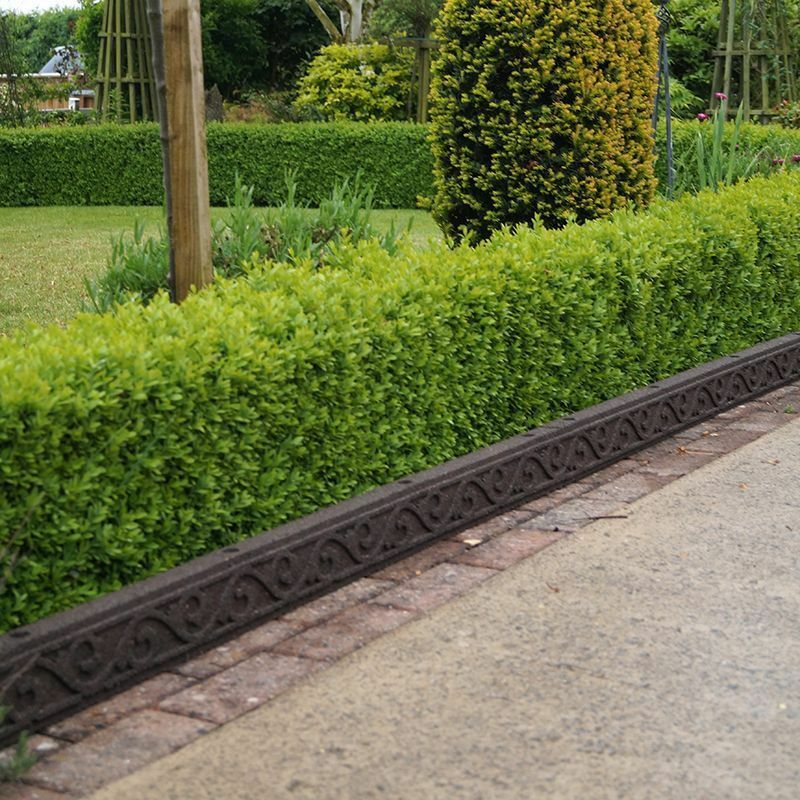 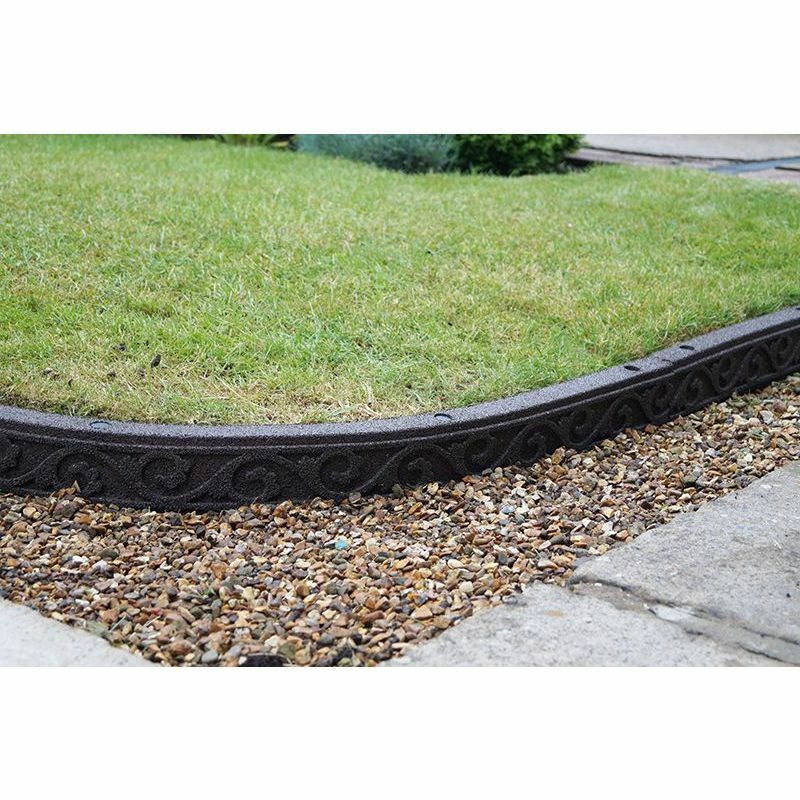 The Flexi-Curve Garden Border – Scroll is a lighter weight alternative to the traditional concrete garden border and a much more durable and long-lasting alternative to wood or plastic borders. 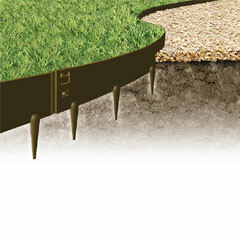 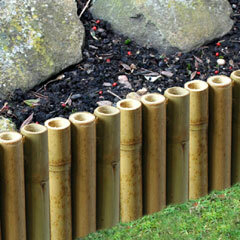 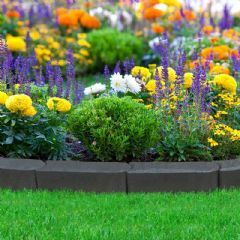 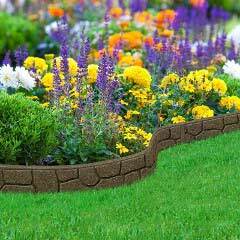 A versatile solution for defining garden beds and paths. 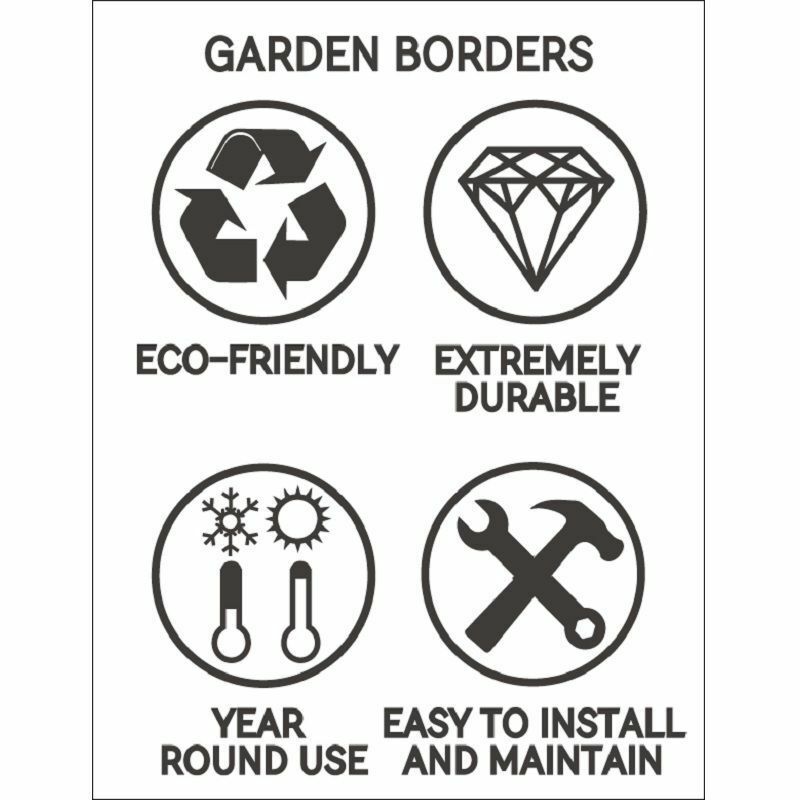 Manufactured from recycled rubber tyres ensures that these are extremely hard wearing and suitable for use outside, year around. 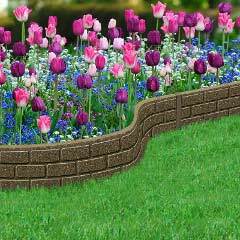 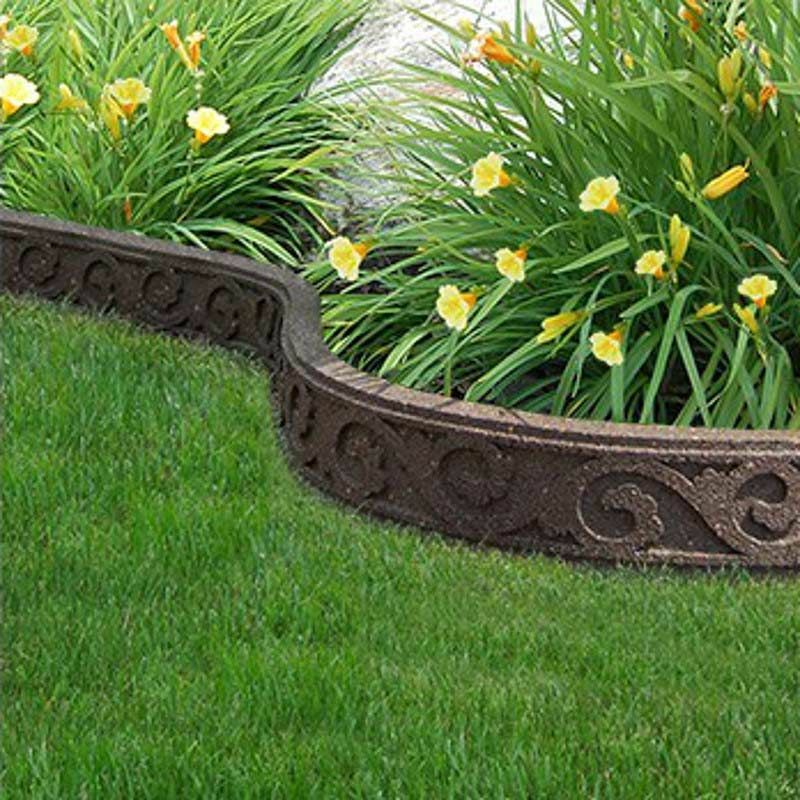 Give your garden as edge with the Flexi Curve Scroll Rubber Edging. 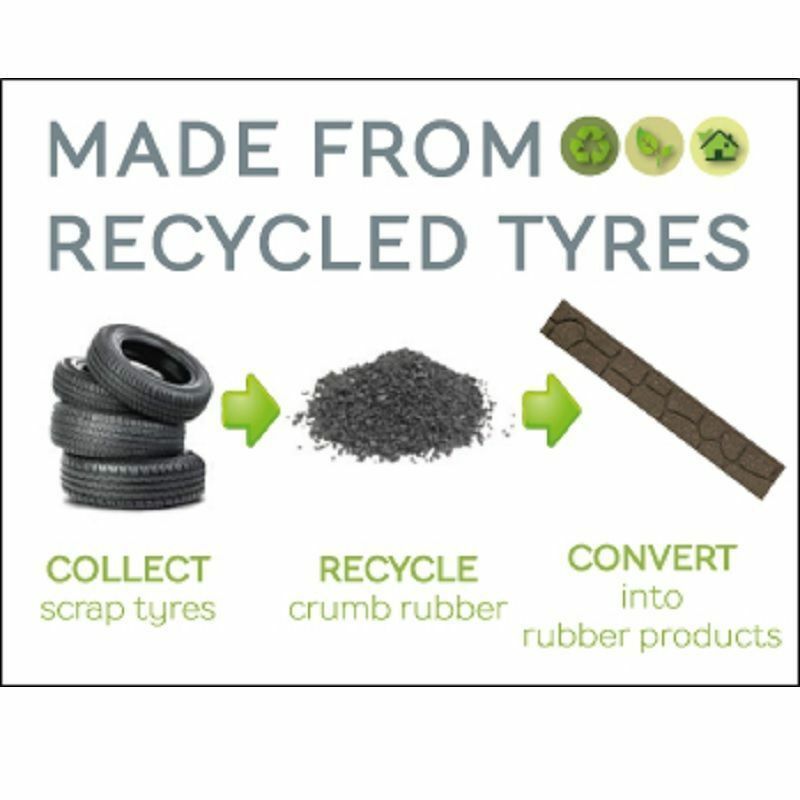 Being made from recycled rubber, these products have already saved millions of tyres from filling up landfills or rubbish tips. 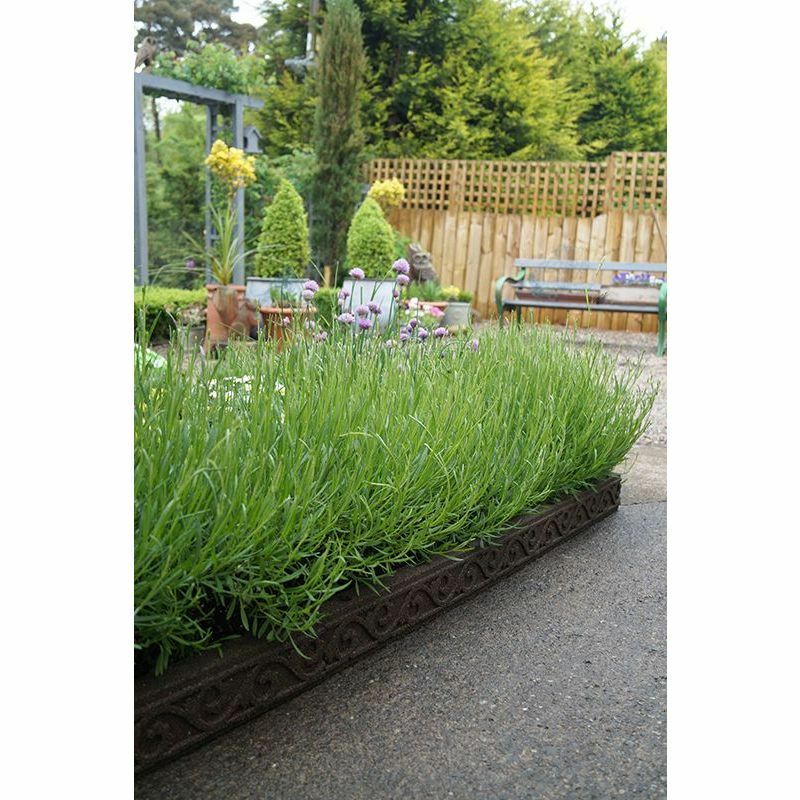 By using our recycled products, you are helping to reduce the worlds carbon footprint and increase recycling.